An experiment using lasers and electronic spectroscopy on how photosynthesis works is further explained with quantum mechanics. Plants and other living organisms like algae and bacteria convert light to energy through a process called photosynthesis. Light energy (usually from the Sun) is converted to chemical energy to fuel their growth. Electronic spectroscopy studies the electronic structure of a model and its dynamics in atoms and molecules. Plants and other organism uses the light from the Sun as their energy source. 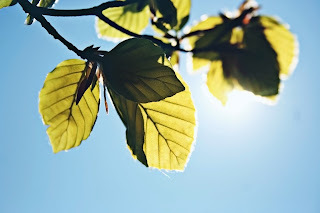 More than 10 quadrillion photons of light hits a leaf every second. These photons are captured by the leaf and is utilized to help in the plants growth. By utilizing principles of quantum mechanics, scientists can trace the photosynthesis process on a nanoscale and further its understanding. This can help in developing technologies that can benefit applications such as solar energy cells and biofuel production. Sophisticated recent experiments with ultrashort laser pulses support the idea that intuition-defying quantum interactions between molecules help plants, algae, and some bacteria efficiently gather light to fuel their growth. But key details of nature's vital light-harvesting mechanisms remain obscure, and the exact role that quantum physics may play in understanding them is more subtle than was once thought, according to an Overview Article in the January issue of BioScience. The article, by Jessica M. Anna and Gregory D. Scholes of the University of Toronto and Rienk van Grondelle of Vrije Universiteit in Amsterdam, describes experiments that employ a technique called 2-D electronic spectroscopy. Researchers flash laser pulses at the light-harvesting protein molecules of bacteria and algae, timed to within a billionth of a billionth of a second, then observe how the energized molecules re-emit light of different colors in the ensuing instants. This allows investigators to deduce how energy is stored by and moves among the molecules. But the results would be impossible to explain if captured light energy were conveyed by discrete entities moving randomly between molecules. Rather, the insights of quantum mechanics are needed. Quantum mechanics envisages particles as being smeared over regions of space, rather than being pointlike, and as interfering with each other like waves. The smearing is undetectable in everyday life, but the experimental results indicate that, within arrays of light-harvesting molecules that serve as light "antennas" inside cells, such "coherence" eases ultrafast energy transfers that help organisms use solar energy. It thus allows life to pervade the planet, using the process known as photosynthesis to extract carbon dioxide from the air. Yet Anna and her colleagues point out that the molecular details of the light-gathering apparatus have evolved very differently in different species, so there is nothing simple about how organisms exploit quantum coherence. Indeed, coherence, contrary to what some researchers have speculated, does not seem to dominate light gathering by providing an express route for conveying energy from where it is first captured to the chemical reaction center where it is used. Instead, Anna and her colleagues write, researchers should "inquire how coherence on short length and time scales might seed some kind of property or function" in light-gathering systems. Such understanding might help scientists devise environmentally friendly solar technologies that could regulate their rate of energy input and redistribute and repair their components when the need arises, as living cells do. Danceroom Spectroscopy: Quantum Physics on the Dance Floor.